The following is a statement from Rights & Democracy’s Vermont Endorsement Committee on Rep. Kiah Morris’ decision to not seek re-election. 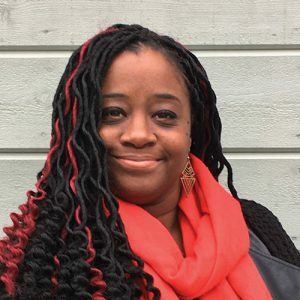 “We are saddened by Rep. Kiah Morris’ decision to not seek re-election and angered that it is due to the sustained, hateful threats she and her family endured during her too brief time in office. 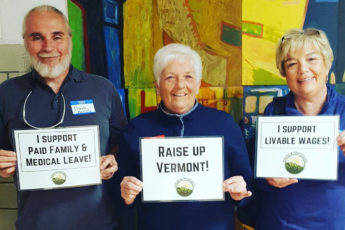 “We are sad because Kiah Morris is a champion of poor and working class Vermonters, a powerful voice for women and people of color, and a true leader who has opened up doors for other leaders to walk through. We are angry because the reason Kiah is stepping down is all too familiar to people of color—unchecked hatred, bigotry, and racism, systemic oppression and institutionalized racism affecting every aspect of their lives. Rights & Democracy continues to work toward dismantling systemic oppression and institutionalized racism. “We call on all legislative members to condemn these acts of intimidation and place the following among their highest priorities in 2019: expand the Human Rights Commission; create statewide Policy Racial Impact Assessments; implement Ethnic Studies in schools; and, remove slavery from Vermont’s Constitution.